Sharon's debut book Jesus Unveiled was published in 2016. Her second book, Redemption's Secret: Understanding the Hidden Mystery of Nisan 17 is coming March 2018. Sharon Aubrey is the Founder and Managing Director of Relevant Publishers LLC, a publishing house located in Sutton, Alaska. An ordained minister, Sharon has published two nonfiction, Christian books, designed for individual or small-group Bible study. Her debut book, Jesus Unveiled, was released in March 2015 followed by Redemption’s Secret: Understanding the Mystery of Nisan 17 the Most Important Date in History in March 2018. Sharon has hosted numerous Bible study groups since 2010 and is an active member of the National Association of Christian Ministers, where she completed continuing education courses on Domestic Violence for Ministers and Ministering to Unsaintly Saints. She also serves on the Board of Directors’ Executive Team for Eaglecrest Alaska Missions and is a member of the Alaska Writer’s Guild. 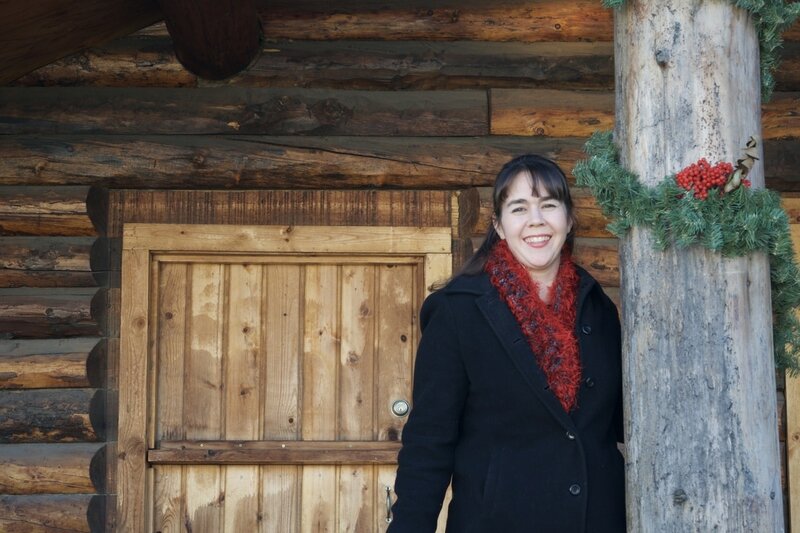 In addition to her theological background, Sharon has been a parent educator for fourteen years and helped improve the Mat-Su Central School program in Wasilla, Alaska. Her efforts earned her the Champion of Children Award during the 2010-2011 school year. In 2016, Sharon completed the Writing for Young Readers: Opening the Treasure Chest MOOC developed by The Commonwealth Educational Trust. She was a presenter in the Young Writer’s Conference at Sherrod Elementary in Palmer in April 2018. Sharon has recently written a children’s’ picture book series titled, Jared the Giant, which is schedule for release in 2019. Sharon writes about herself: I was born in Fort Sam Houston, Texas and grew up as an Army brat all over the United States. I'm a middle child with many of the middle child tendencies: I like to fix things, love people getting along, and study hard. Christianity is not a religion to me; instead, it's a passionate relationship with God who loved me before I was born. I relate with Charles Spurgeon who said basically, "it is a good thing God loved me before I was born, because if He didn't love me before I started making mistakes, He sure wouldn't like me much now" (my paraphrase). God is AMAZING! I hope that through my writings others can discover God's love for them and grow in understanding and faith in God's written word and in the knowledge of our savior Jesus Christ. I've been homeschooling for 14 years partnering with the Alaskan public school system, partly to save the sanity of public school teachers but mostly to encourage my kids to be all they can be outside of the "normal" box society wants to place everyone. I'm a strong supporter of education models that help people achieve their individual goals and helped to modify our current public homeschooling program, which earned me two accolades in 2011, including the Champion for Children Award. I'm married to an incredible mountain man named Michael, who moved to Alaska when he was just an infant. His father worked the coal mines of Eska and Jonesville. Millie, his mother, held a variety of tasks from managing hotels, jewelry stores, and running a logging camp all while taking care of five children in rural Alaska and keeping her sanity. It is a blessing to be part of one of Alaska's pioneering families. Together, Michael and I have traveled many journeys, both physically and spiritually. From mountain top high adventures to low valleys of pain and suffering, we've walked hand in hand for over 21 years. Life is an adventure! Trust the compass of God's word to lead you beyond where you ever imagined you'd go.